November 2017 Employees of the Month! We asked Landon to answer a few questions about YES. Here's what he told us. 1. How did you find out about YES? I saw the now hiring sign outside your office. 2. Whats been your favorite job through YES? I've been working in the prefab division and have really enjoyed the people I work with. 3. What do you think would make YES better? I don't have any complaints. 4. What would you tell someone looking into working with YES? I've enjoyed working for them and would recommend it. Landon was awarded a thank you certificate and YES shirt for his great work. 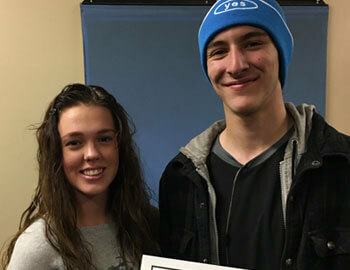 Thanks again Landon for being a part of the hard-working Logan, Utah staffing team at Your Employment Solutions! Jhosse was awarded a thank-you certificate and YES shirt for his great work. Thanks again Jhosse for being a part of the hard-working Ogden, Utah staffing team at Your Employment Solutions! Citlali was awarded a thank-you certificate and YES shirt for her great work. 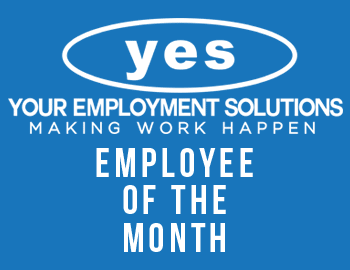 Thanks again Citlali for being a part of the hard-working West Valley City, Utah staffing team at Your Employment Solutions!